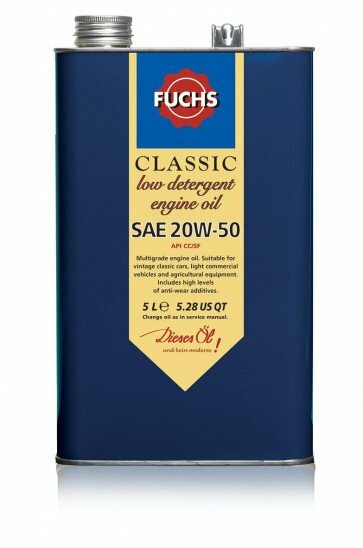 The FUCHS CLASSIC products, based on some of the original motorsport formulations, have been developed and improved over many years. They combine our rich heritage with German expertise and technology, ensuring the oils are made to the highest quality, giving the best protection for all components. The range includes both non detergent and low detergent engine oils suitable for most older engines such as cars, commercial vehicles, agricultural engines and narrow boats, plus performance engine oils particularly suitable for tuned classic racing engines, and non EP and mild EP gear oils. Multigrade - suitable for vintage classic cars, light commercial vehicles and agricultural equipment. Includes high levels of anti-wear additives.